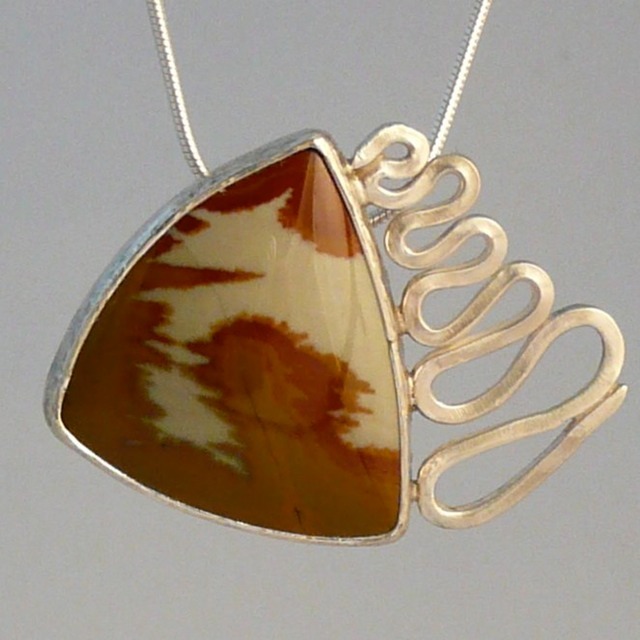 "Jasper Undulation", formed, and bezel set. Sterling silver, and jasper, 2" x 2.5", 18" chain, 2007. Sold.